Newborn sessions generally last between 2-3 hours. Often they begin with family images, mom and baby/dad and baby, followed by any siblings with baby. From there we move to baskets or buckets, then props and end with bean bag posing. The room is heated to about 80 degrees to keep baby warm and sleepy. We usually have a space heater next to baby and when baby is on the bean bag we have a heating pad under the blankets to ensure warmth. 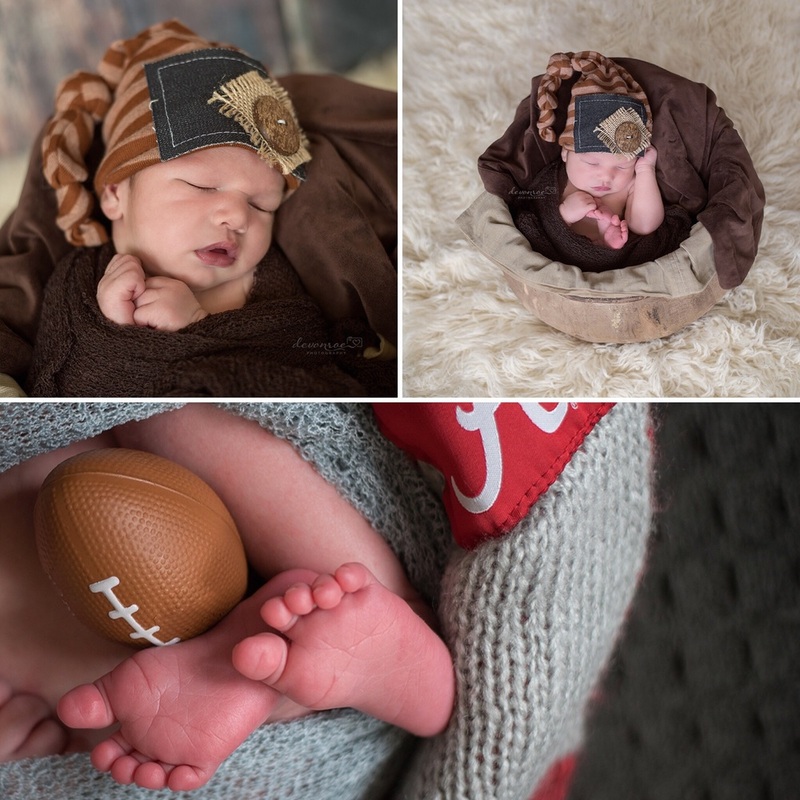 We hope you enjoyed this glimpse into a newborn session! Watch for more blog posts coming soon! And remember to reserve your newborn session during pregnancy when possible. Most of our clients book after their 20 week ultrasound. Thanks and we hope to see you soon!